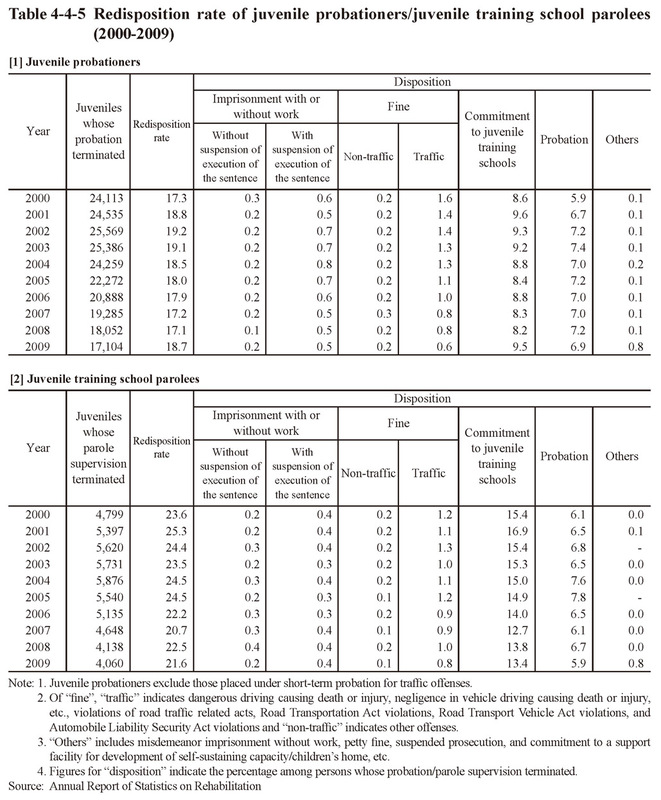 Table 4-4-5 shows the percentage of juvenile probationers and juvenile training school parolees whose probation/parole supervision terminated during the period between 2000 and 2009 that were then placed under protective measures or received criminal dispositions due to repeat offenses or delinquencies during their probation/parole supervision period over the last 10 years. The percentage was 17.1 to 19.2% of juvenile probationers and 20.7 to 25.3% of juvenile training school parolees. Fig. 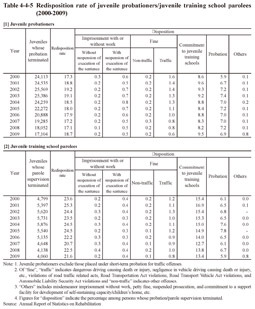 4-4-6 shows the percent distribution of juvenile probationers and juvenile training school parolees by reason for the termination of their probation/parole supervision and education/employment status in 2009. 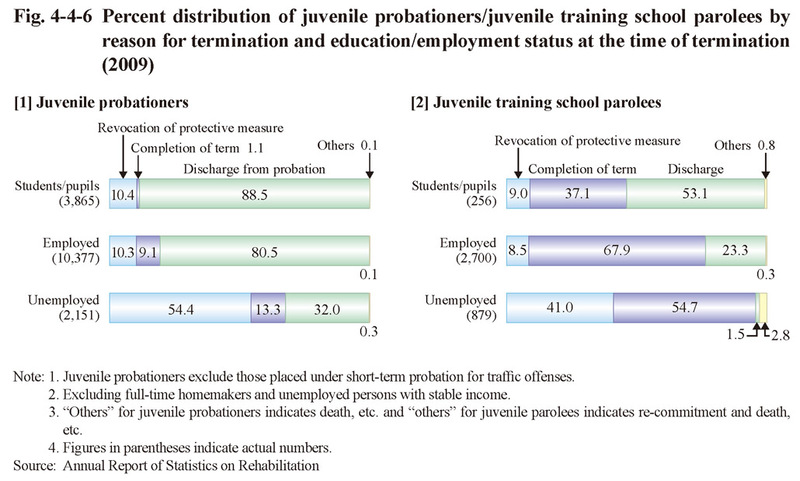 Among those unemployed at the time of termination of their probation/parole supervision, the rate of juveniles who had their former measures revoked and who were then placed under new measures due to repeat delinquencies/offenses was remarkably high at 54.4% of juvenile probationers and 41.0% of juvenile training school parolees when compared to those employed.